Syracuse has been on fire this season and they continued their success last night. 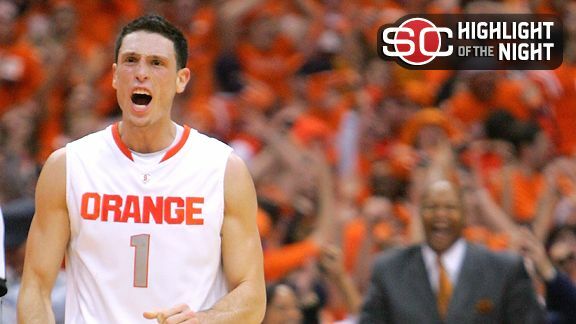 Six Syracuse players scored in double figures as the Orange rolled over Villanova, 95-77. Scoop Jardin had 16 points off the bench in the big win. Look for Syracuse to move up in the rankings and be closer to sealing a No. 1 seed for March Madness. If you like this blue and neon combination then you will love the new colorway for the Nike Air Max Triax 94 LE’s. It is a hot sneaker and the colors make the look even better. 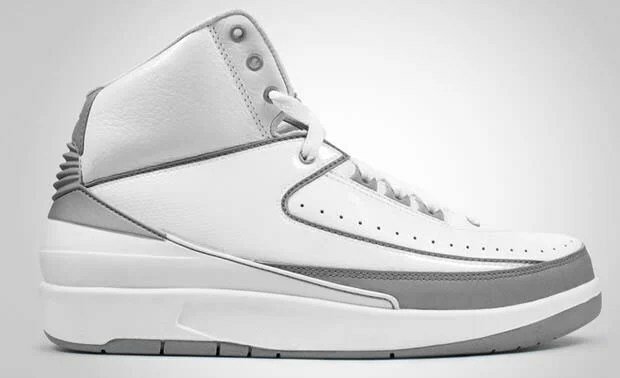 Today is the official release date for the Air Jordan II in white/silver, part of the 25th Anniversary releases! Tomorrow is the big day, as one of the hottest sneaker blogs opens it’s FIRST retail store in Texas. 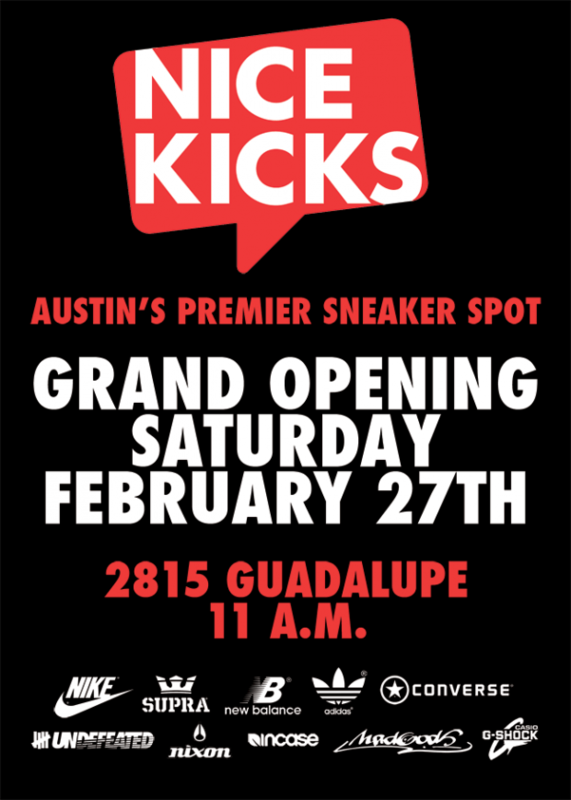 Nice Kicks will celebrate it’s Grand Opening tomorrow. Congrats! Check out Wale rocking another exclusive sneaker. The Nike Air Max 24/7; a mix of the Air Max 95, Air Max 97, and Air Max 360. It drops something this May. 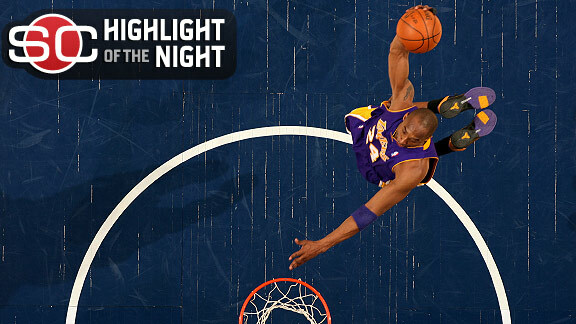 When the young stud known as Kobe Bryant return to the Lakers last night and what do you know…………he hits a game winner against the Memphis Grizzlies to win the game 99-98. Well his day has come to an end in Philadelphia. 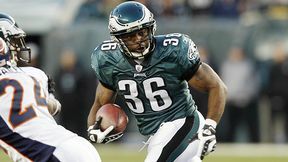 Brian Westbrook is no longer a Philadelphia Eagles after being released today by the team. After getting injured and performance significantly impacted the decision. Where will he land up? The Air Jordan 25th Anniversary III’s, IV’s, and IX’s all drop next month and to make it worst on the same day…….March 20. Don’t forget! The Air Jordan Spiz’ike black cement drops today. Definitely a must have so get your hands on them! 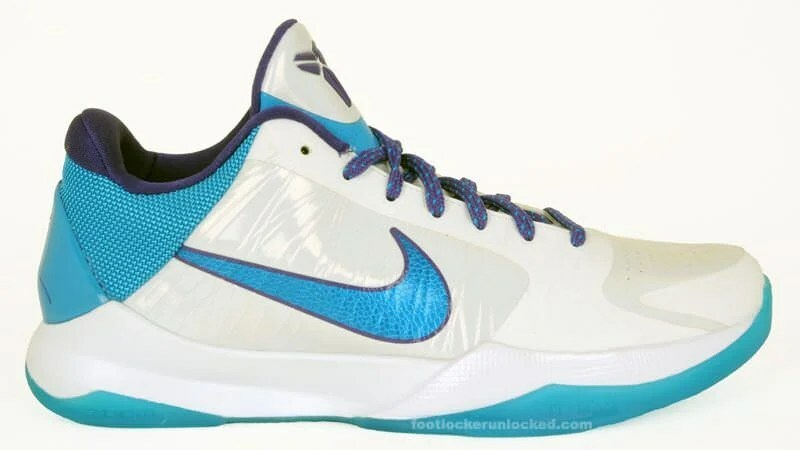 Check out the Nike Zoom Kobe V in the “Draft Day”, Charlotte Hornets colorway. It is the colorway of the team that originally drafted Kobe Bryant. Release is said to be in May.